Cakes mixes can be easily prepared at home and stored in your pantry for months. Any time you feel like having a banana cake recipe, you can use the cake mixes to make delicious cakes as well as puddings. Here is an interesting banana cake recipe with cake mix that is delicious and moist and we guarantee that you will earn lots of praise for your baking skills. 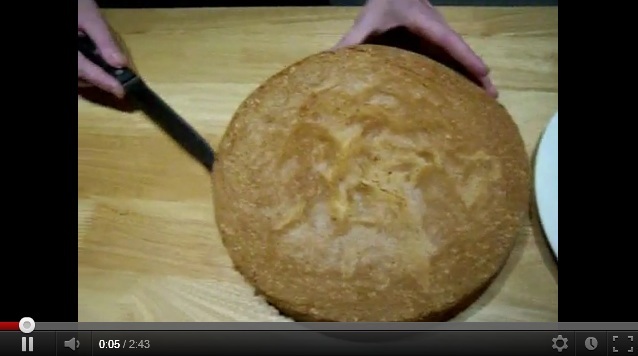 – Grease and flour a 10-inch Bundt cake pan using a little butter and all-purpose flour. – Peel and mash the bananas using a fork. – In a large bowl, mix the cake mix, eggs, mashed bananas, sugar, milk and vanilla extract. – Use an electric mixer to blend all the ingredients together to a smooth batter. – Stir in the chopped pecans. 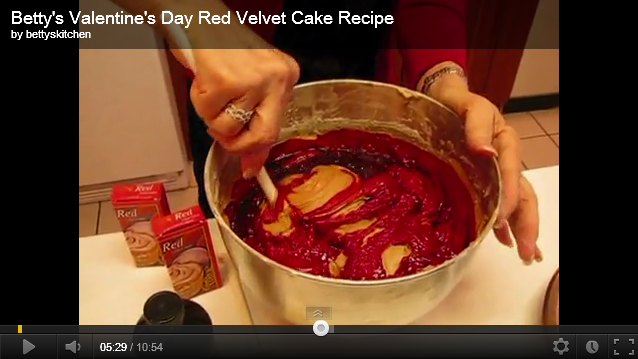 – Pour in the greased Bundt cake pan and smooth out the top. – Bake in the preheated oven for about 50-60 minutes until a skewer inserted inside comes out clean. – Let the cake cool in the pan for 20 minutes before inverting on a wire rack to cool. – Your cake is ready to serve and eat. – Mix all the ingredients in a dry and clean mixing bowl. – Store the cake mix in an airtight container. – You can store this mix for months in the pantry. – Melt the butter in a skillet and lightly fry the chopped pecans in the butter. – Remove from the heat and add to the ready-made cream cheese frosting. – Cover the cake with frosting from all sides. – Always use the ingredients at room temperature. Thaw the cake mix (if stored in the fridge) to room temperature before using. – You can store the cake in the freezer for about 2 weeks, but thaw before using. – If you are going to use the cake immediately, then let it cool in the fridge for about 20 minutes before icing to prevent the crumbs from falling off. Carrots are by far the most versatile vegetable among the edible root crops. Although the most common is the orange variety, it does come in other colors such as purple, red, white and yellow. This vegetable is the basis of a lot of cake recipes because it is easy to cook, bake and digest. Not only that, the nutritional value of carrots is very high. What is even more amazing is, unlike other vegetables where they are more nutritious when eaten raw or half-cooked, the beta carotene in carrot is less when digested raw but enhanced when cooked or baked! Carrots can be used in cakes, puddings, jams, juices, soups, stir fried viands, stews and a whole lot more, including the following healthy carrot cake recipe. The distinguishing element in this carrot cake recipe is the zests of both orange and lemon. Very few vegetables, or any other food for that matter, agree with citrus mix factors, much less the lemon. Although we will only use the rind of the lemon, we will incorporate both the rind and the juice of the orange in this mixture. That plus the crunchy nutty ingredients will surely tickle your palate. – Grease a 9-inch Bundt pan. – In a large bowl, stir together the whole wheat flour, cake flour, brown sugar, cinnamon, carob, baking powder, baking soda and salt. – Make a well in the center and pour in the molasses, oil, eggs and orange juice. – Mix until the dry ingredients are moistened, then stir in the orange zest, lemon zest, raisins, figs, poppy seeds, carrots and pecans until evenly distributed. – Pour into the prepared pan. – Bake for 1 hour and 10 minutes in the preheated oven, or until a knife inserted into the center of the cake comes out clean. – Cool for 30 minutes before removing from the pan. Here is my version of a very healthy carrot cake recipe that I saw on the internet recently. I tried to make it but found it was full of very disturbing ingredients, such as lard and chestnuts, if you can believe it! I took it upon myself to modify and test this recipe. I took out some ingredients which I felt were redundant and thoroughly removed from the essence of a good old homemade carrot cake recipe and substituted these with ingredients that are readily found in normal household pantries and cupboards (read – my own). I also adjusted the amounts per item as I strongly felt that the individual quantity prescribed was outrageously excessive. Plus, I exercised a modicum of change in the preparation of this healthy treat to better enhance the taste and lingering goodness of such a cake. The result was an ambrosial, sweet orange concoction which I would like to share with you. – Pre-heat your oven to 350°F. – Spray with non-stick oil one 9-inch cake pan. – Mix together in a large bowl the oil, sugar, eggs, carrots, nuts, coconut, raisins and ginger powder. – In another bowl, sift together the flour, baking powder, cinnamon and salt. – Add the carrot mixture and blend. – Pour the batter into the cake pan and bake for 35 to 40 minutes or until a toothpick inserted into the cake comes out clean. – Remove from the oven and cool for about 10 minutes. – Remove the cake from the pan and cool completely. – Top the carrot cake with a layer of cream cheese frosting. – Beat together the cream cheese, butter and canola oil until the mixture is smooth and light. – Add the powdered sugar and the vanilla and mix until smooth and all the sugar is dissolved and everything is incorporated. – Spread evenly and sprinkle the cashew nuts on top. Who loves cake? Or should I ask who doesn’t? Kids and adults alike enjoy a good chocolate cake recipe. It evokes fairy dust and birthday parties, tinsel and daydreams from the good old days. In spite of all the newer and more adventurous varieties abundant in cuisine nowadays, nothing beats an old-fashioned, homemade chocolate cake recipes. The exotic combination of dark tasting sweetness never ceases to be a novelty. Even if you were right next to a bake shop, I’m pretty certain you would never get tired of it. From the first time I savored the luscious goodness until I learned how to bake it myself, it has always evoked good memories of childhood and fun. Have some now. – Heat oven to 350°F. Lightly coat two 8-inch cake pans with softened butter. Lightly sprinkle with flour to prevent crust from burning. – In one large mixing bowl, mix together all the dry ingredients. – In another mixing bowl, mix together all the remaining ingredients. – Gradually add the dry ingredients to the liquid mix until the batter is thoroughly mixed. – Pour into the pans. – Bake the cake for about 30 to 35 minutes or until a toothpick comes out clean when inserted into the cakes. – Cool on wire racks for 20 minutes. Remove cakes from pans when completely cool. – Make the filling by whisking 1 pack of store bought frosting, half a cup of sour cream and vanilla together in a large bowl. – Assemble the cake by placing one cake layer on a cake tray then spreading about 2/5 of the thick filling and placing the second cake layer as in a sandwich. – Spread the remaining filling (which will now serve as your icing) over the top of the cake. – Smooth out the edges with a rubber spatula. – Spread the remaining filling around the sides, delicately wiping any excesses with a napkin. – Top with chopped cashew nuts, shaved chocolate, marshmallow bits or candied fruits. – Cover the cake tray and refrigerate the cake for about half an hour or until well chilled. – Serve with your favorite drink. Carrots are high in nutritional value and taste great. Most people use carrots in salads and in the east, notably India, for making decadent sweets. Hence the humble carrot cake recipe is very much overlooked in this regard. The cake is delicious and full of nutrients, which is a real bonus when compared to other sugary treats. There are a variety of cookbooks and websites that help with step-by-step instructions. Our Cake Recipe Secrets author’s have contributed a number of variations. Make sure to note the exact types of ingredients as well as the exact amounts required. Innovation is also the key so be brave and add your own flare when it comes to ingredients, preparation and presentation. One type of variation is the Vegan carrot cake recipe, which is a welcome addition for Vegan’s. Many of the recipe’s and ready-made cakes available use ingredients which some people are either unable to consume for health reasons or prefer not to for lifestyle reasons. Another variation is the sugar free carrot cake recipe, which makes this cake treat even more appealing to the health conscious. Of course there’s also the healthy carrot cake recipe, which not only avoids sugar but also incorporates other ingredients that provide a vitamin supplement like cashews or other types of unsalted nuts. These ingredients can help with palatability of unsalted nuts. So if your family likes something delicious and you don’t won’t them knowing its healthy try some homemade carrot cake recipe. Apart from loving every morsel you’ll feel comfortable in the knowledge that they’re eating healthy as well. So what are you waiting for just go ahead and find an exciting carrot cake recipe surprise everyone with its great taste. But keep the healthy stuff secret.